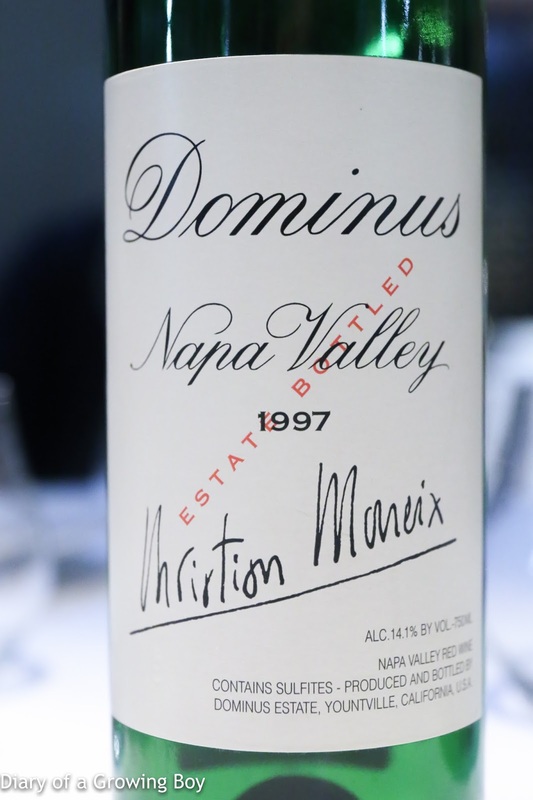 1997 Dominus - opened and decanted immediately prior to serving. Drinking very nicely without much aeration. Showing good fruit with leather and forest notes. Smooth on the palate while still full-bodied. 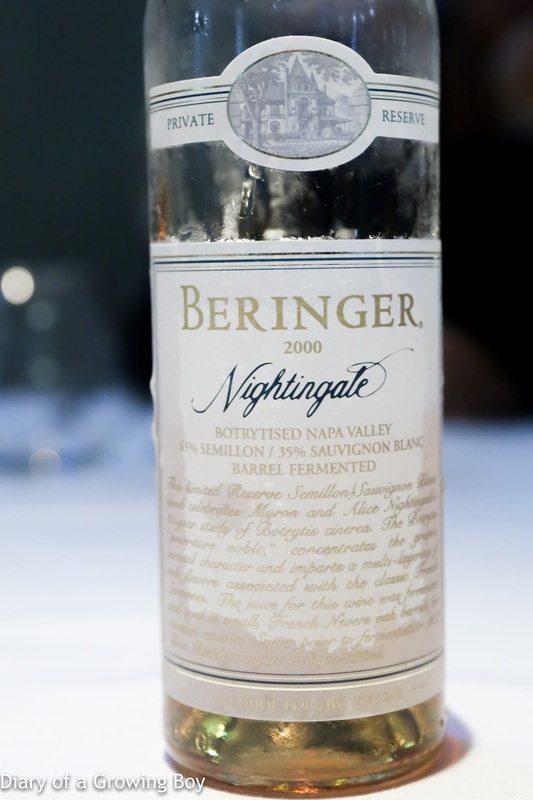 2000 Beringer Nightingale -lots of honey and nutty notes, with raisins, lemon, and acetone.